On-time quality delivery and after service are two important reasons that customers will stick. That directly translates into providing a 360-degree view into service and maintenance operations. Service/maintenance operations ensure services are being delivered as per SLA. At a high-level, it includes monitoring services, resolving incidents, fulfilling requests and operational tasks. For seamless functioning against all these tasks, there are two important aspects - everyday activity that needs to be tracked and robust infrastructure to be used for delivery. It’s no wonder that from a customer point of view, Service Operations is where actual value is seen. uses customer, item and employee data to reduce costs. As said earlier, ServiceEdge provides automated controls and visibility. Once engaged, it helps check the end-to-end view of customer interactions and such a perspective can determine what truly matters to customers and how clients can improve those interactions. ServiceEdge can establish and enhance after-sales service that covers the installation, maintenance, and repair of services and delivery of parts through the entire lifecycle of a product or service. ServiceEdge can track inventory with details of repair status, new inventory and order information. This helps adequately supply customers based on clarity of data that is available on a perpetual basis. With ServiceEdge, the administration of terms and contracts is automated. Operationally, it provides real-time validation against existing serial numbers, and instant response to customers indicating success or failure due to invalid serial number or duplicate entry. Warranty information is very crucial as it provides “real” failure data, which is critical for future design and development. ServiceEdge can auto-generate contracts and cases while maintaining the complete customer equipment database and the history of the equipment to analyse performance and profitability. ServiceEdge can notify you before the waranty / AMC end date for particular client ,creating opportunities for recurring business and achieve customer loyalty. ServiceEdge enables tracking of end to end MIF life cycle of machine from Purchase order, sales order, manufacture , warranty contracts with that machine to scrapped items. etc. With such compelling features, ServiceEdge is ahead of competition and is helping clients transform their service operations beyond expectations, while achieving cost and profitability goals. A tight engagement with clients’ entire organization and across hierarchy is setting the pace for continuous improvement. 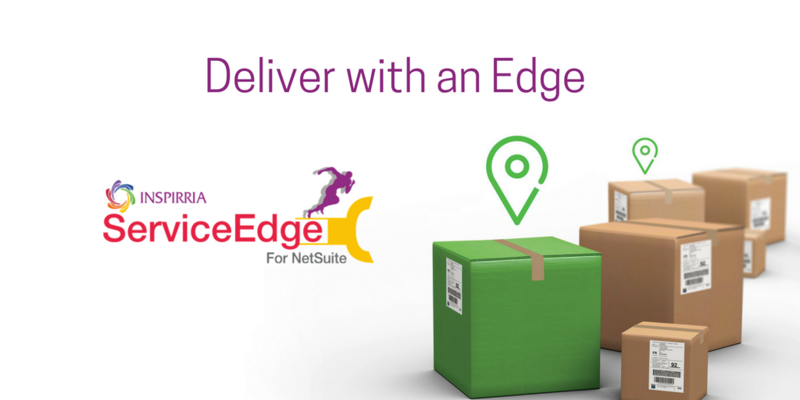 ServiceEdge is a ‘built for NetSuite’ Native SuiteApp from Inspirria Cloudtech for Service Management. Inspirria is a leading NetSuite implementation partner offering end-to-end implementation services and support to cater to the dynamic growth requirements of organizations. With more than 14 years of experience in cloud technologies and over 500 clients around the world, we have helped businesses maximize efficiency and visibility for rapid and agile growth.